The most creepiest mask you can ever find. 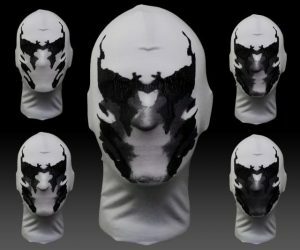 A real working replica of moving Inkblot Rorschach mask used in Watchmen movie. The inkblots are actually temperature sensitive which are animated inkblots that react to the heat of your breath. It can change up to 5 different inkblot styles.